Through inspired rhythm and rhyme, your children will experience the impact of Jesus' teaching about building on rock, not sand. Based on Luke 6:47-49, this beautiful picture book will delight any child over the age of three. 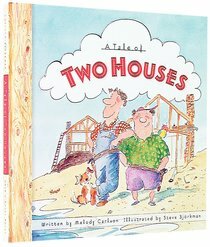 About "Tale of Two Houses"
Through inspired rhythm and rhyme, you'll experience the impact of Jesus' teaching about building on rock, not sand. A delightful read for children of any age.